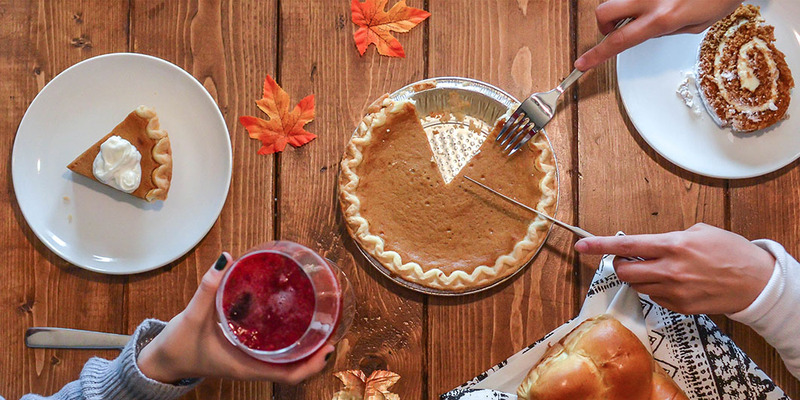 Is it possible to enjoy Thanksgiving, or any holiday, and still stick to your goals? We think so! Whether you are the host or an attendee, below are some strategies for a guilt free holiday. Start your day with exercise – Many towns and cities have Thanksgiving 5ks. If you can’t find a formal event, aim to get at least 30 minutes of activity. Keep extra food out of reach – Having to ask for a dish to be passed will make you conscious of your food consumption. Avoid eating an item in one bite – Take a small sample from each entrée and determine if it is something you want to continue to eat. If it isn’t, put it down and try something else. Be the last person to get food – Prevent your eyes from being bigger than your stomach by allowing others to gather their plates. Food is less appealing once it has already been dug into! Most importantly – Remember, it’s a holiDAY, not a holiMONTH! It’s ok to splurge a bit on Thanksgiving, as long as you get back on your routine shortly after. How you respond on Friday or Saturday is just as, if not more, important as what you consume on Thursday.